real estate tours – Tour Real Estate Inc.
Lead Capture Counts: New Counted Logins! As you may already know, your Tour Real Estate website comes pre-built with a few different login options: None, Soft (which allows users to skip registering), and Hard (which forces visitors to register). Each of these allows you to control how strict your registration access is when a visitor goes to view listing details. Now you have one more option to choose from! Counted Logins! This great new feature acts as an in between for our other great choices. Basically it allows visitors to view up to 4 listing details pages before it forces them to register to view more. This is a great option to allow visitors time to navigate around your site before they must provide their contact details. One more powerful tool added to your online arsenal to give you greater control over your website and it’s lead capture abilities — all at NO extra cost to you! Did you know you can create your own attractive photo tours for your real estate listings through your TourRE Toolbox – for FREE ? That’s right! 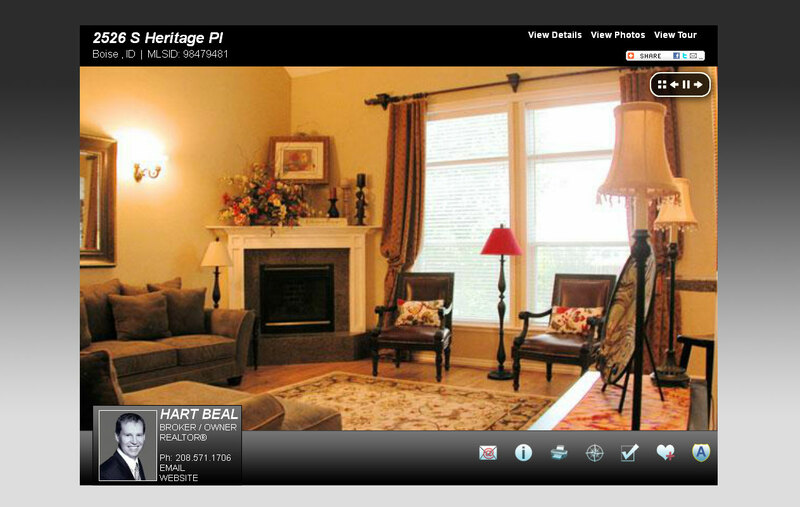 We’ve made the decision to go ahead and release the alpha version of our upcoming new virtual tour window early so that you can begin showcasing your listings now! This early release is a very basic example of things to come. It currently includes a nice slideshow of your listings photos, property details, and quick tool links that allow visitors to request more info and get in touch with you! Future features will include: multiple file uploads to save you time, audio and voice over capabilities, youtube movie creation, custom looks for your tour window, automatically publish tours to MLS, and MORE! Want to start creating your own tours now? Login to your toolbox and go to the Photo Tours link on the left. Once there, click Add Photo Tour at the top. On the page that opens enter the address, then mls number for your listing and begin browsing to the photos you want to include. You can upload up to 36 photos. Once done, click submit. Once your files are done uploading you will be taken back to the main photo tour section where you can click View Photo Tour URL to retrieve the branded and unbranded links to your new tour!